Dr. Lee received a B.S. (Biology, 2001) from Yonsei University, South Korea, and Ph.D. (Cognitive Neuroscience, 2010) from Dartmouth College. He completed postdoctoral training at University of Pennsylvania (2011-2016) before joining the faculty at OSU in the summer of 2016. Dr. Lee holds a joint affiliation between Department of Speech and Hearing Science and the Center for Brain Injury under Discovery Theme Initiative. Dr. Lee conducts several interdisciplinary projects investigating relations between speech, language, and music (SLAM) in the context of communication disorders associated with developmental, aging, and brain injury (TBI, Aphasia) and neurodegenerative disorders (Parkinson’s disease). He uses functional neuroimaging techniques (fMRI, fNIRS, PET) combined with behavioral experiments. 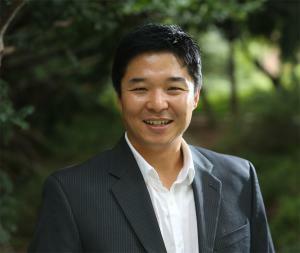 To find out more details about Dr. Lee’s research programs, please visit the SLAM lab website. Dr. Lee is accepting Ph.D students for both Speech & Hearing Science and Neuroscience graduate school program (NGSP).